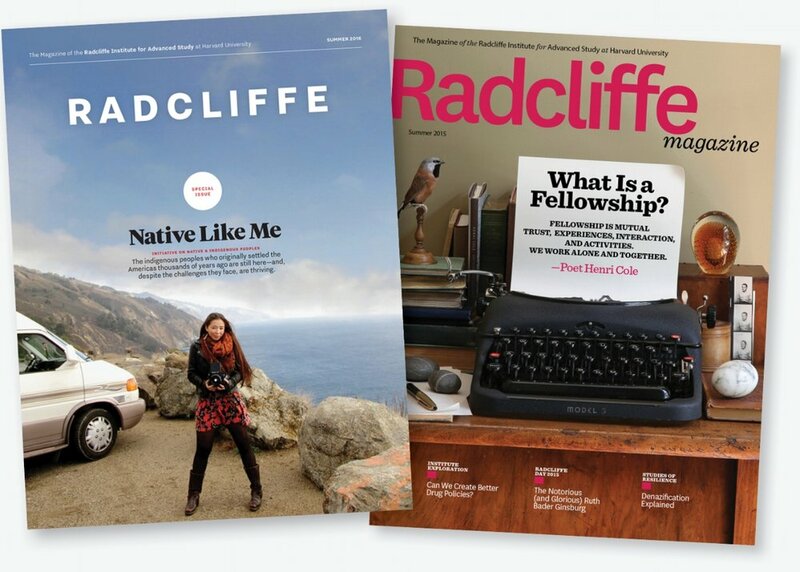 The new Radcliffe Magazine (left) and a previous issue. 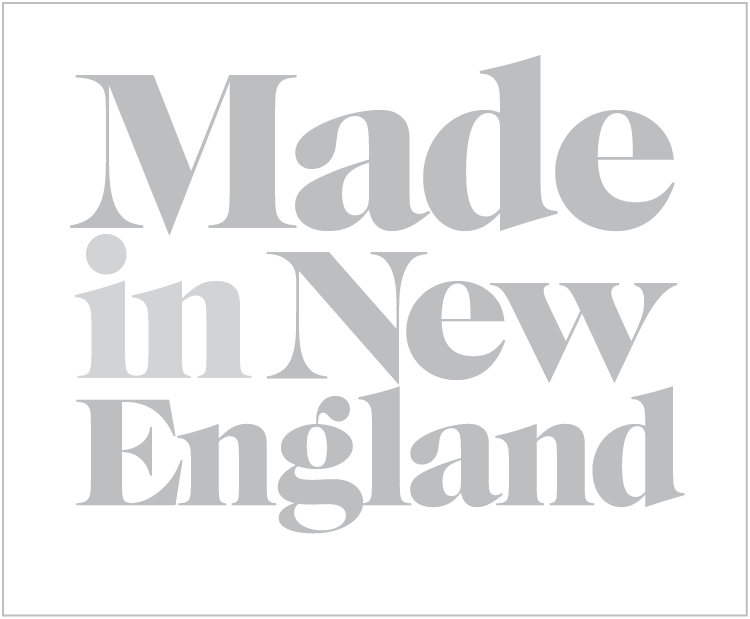 The redesign features all new branding, templates, typography, and a steady stream of new photographers and illustrators. Known as Radcliffe College from 1872 – 1999, it was originally one of the 13 schools that made up Harvard University. It was famously one of the “Seven Sisters” group of exclusively women’s colleges: Barnard, Bryn Mawr, Mount Holyoke, Smith, Vassar, and Wellesley are the others. In 1977 Radcliffe and Harvard Colleges entered into what was termed a “non-merger merger” that was fully completed in 1999, when Radcliffe College became the Radcliffe Institute for Advanced Study at Harvard and began its focus on research fellowships in the arts, humanities, sciences, and social sciences. The magazine publishes two issues per year, in the winter and summer. The FOB pages (above and below) are reminiscent of newspaper design and feature updates on the Institute and its esteemed Fellows. The opening page of a special section. This issue featured a multi-page special section (above and below) covering a series of events and initiatives around native and indigenous peoples. Radcliffe alumnae write a lot of books! Every issue features reviews of six of the best. Newsmakers (above and below) is Radcliffe’s alumni notes section.